It's bordering on autumn here in Minnesota . . .
Tumblr. 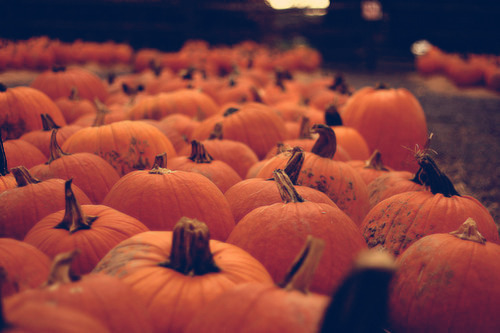 The ultimate and comprehensive source of every hipstery autumn photo you could ever want. I blame Indiana Jones for making me believe school was cool. Nobody could ever make me unlearn-that lesson. But now, of course, I have had the good fortune to find a host of fabulous representations of the 70's that would have caused my 7th grade self to collapse in sheer delight (Thank you Mumbai circa 1975. I owe you one.) No need to mine stupid and depressing Hollywood films to get my fix anymore! No, I will not, Parveen. I WANT your room. I mean your forced-wedding preparation boudoir. Whatever. Note: My long-held obsession with chic flares and (the actors who wear them the best) probably deserves a whole post in itself . 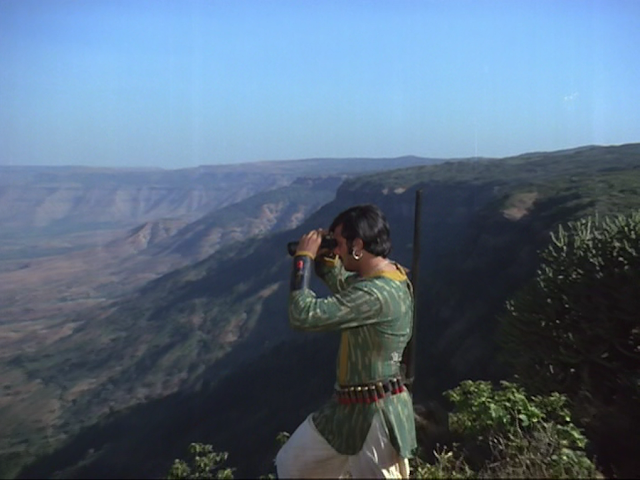 . . and I will say that I still have yet to see someone out-shine Vinod and Amitabh in the bell-bottom wearing department. I mean, look at these two. 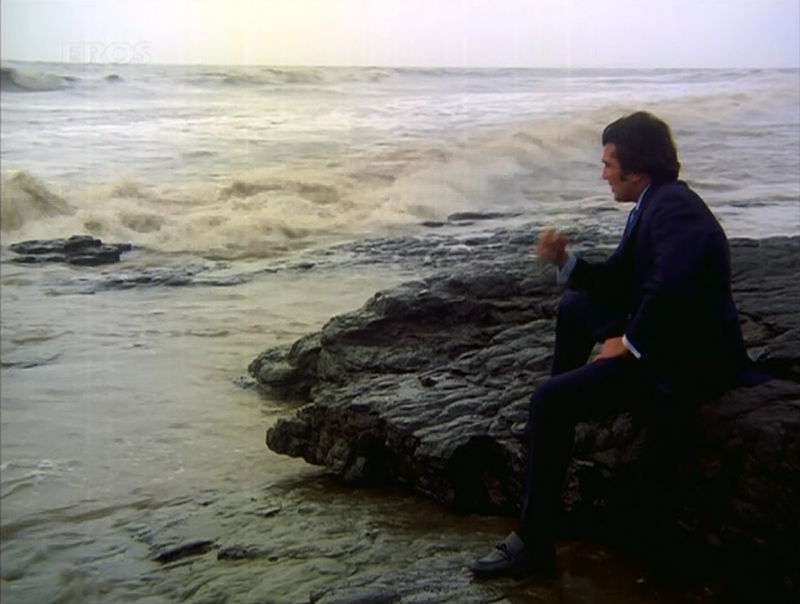 I realize now that I have A LOT of screencaps that showcase Vinotabh bell-bottoms. Unless that person is, say, Neetu Singh. 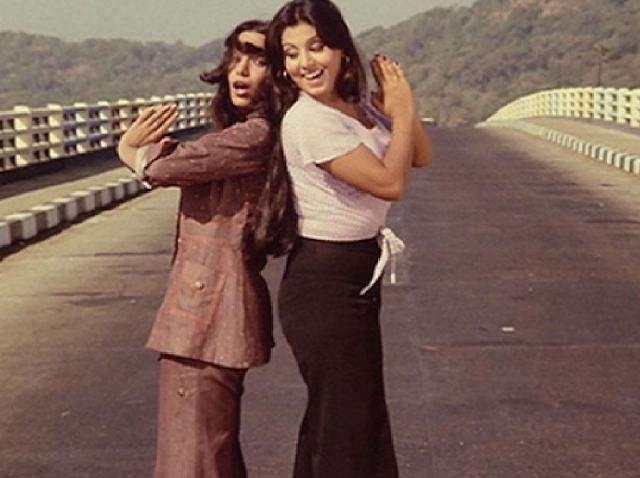 Forget Charlie's Angels, Neetu is the ultimate poster girl for the bell-bottoms and tied-t-shirt look. 3. Gothic tales of horror, love, and woe. Not necessarily just starring adults... 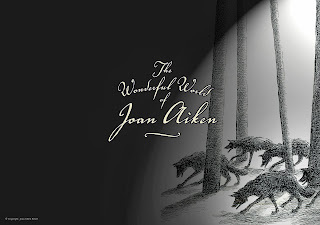 Some of my favorite Gothic tales star children. Probably because children understand fear the best. who wanted to understand my innermost psyche. Fall also means I must make a list of disturbing and awesome movies I have yet to introduce my younger siblings to. Now that I think of it, I should really schedule that Beetlejuice (1988) night once and for all. You can't talk Gothic without talking about Winona Ryder in that movie. And maybe The Birds (1963) as well. Hmmm, I don't know if I've subjected my 12-year-old brother to that one yet. 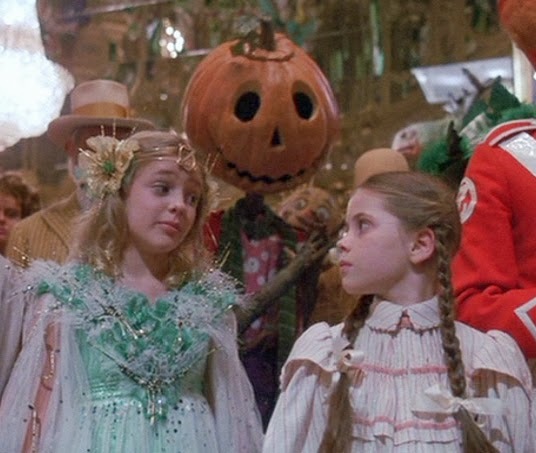 Plus, there's always my yearly re-watch of Return to Oz (1984), and maybe this October I'll finally get around to seeing my brother's annual watch: Labyrinth (1986). Plus there's the weird and wonderful and Gothic in fiction. *Harry Potter. It counts. It always counts. 4. All things cinnamon and nutmeg-filled. And in related tastes: Buffy the Vampire Slayer in binge doses. 'Nuf said. 5. And finallllllyyyyy . . . FABRIC. Plaid. Paisley. Knit. Fall is just the best time to show your bohemian leanings. . . and I have more than enough Bohemian leanings to fill several blogs (and several closets). If I was going to get lost somewhere, I think I might like it to be a fabric bazaar. Like this one in my beloved Mostar, Bosnia. Dirty little secret: a lot of the least flattering outfits I've bought in my life have been due to an unfortunate infatuation with the fabric rather than the cut or the style. When I got a closer look at these, I realized you could practically see the sleeves unraveling on screen. However, while they lasted, these would have been awesome to wear. 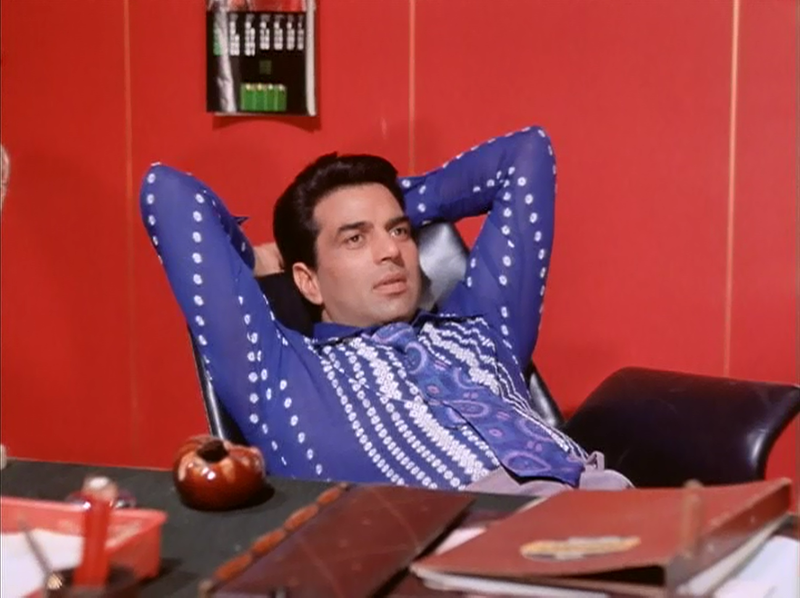 Or maybe it's just Vinod IN them that appeals to me. I can't be sure. 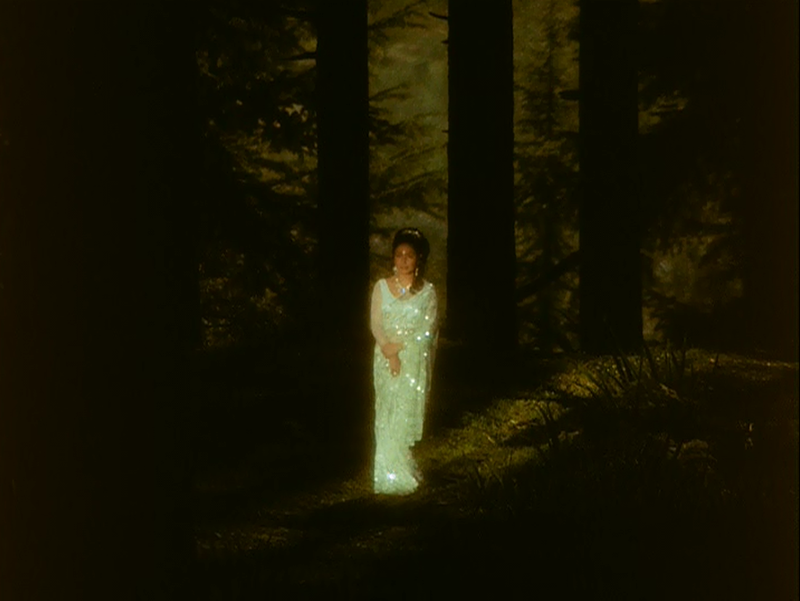 Neetu's costumes in this film were almost as fabulous. What's your favorite fabric moment in a Hindi film? Sometimes you need to make yourself watch a classic. Just because it's a classic. And if you're lucky, sometimes that classic will surprise you with it's relevance, charm, and emotional punch, despite your cultural ignorance or years of separation from the social context of its debut. 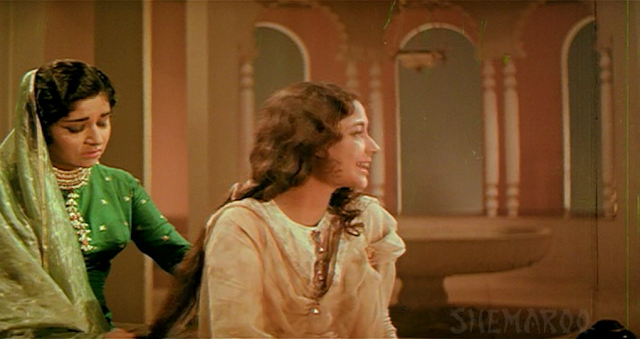 Mughal-e-Azam (1960), another recent watch of mine, certainly falls into that category. I think I was under the impression that one needed to have a personal cultural connection to M-e-A to "get it," perhaps because I had caught a few clips of the film here and there and hadn't been hooked. However, to my utter and glorious delight, when I did watch the film from start to finish, I found it to be every bit as relevant and heartbreaking and poignant for me as it has been for countless other people over the years. It's one of the only Hindi films that has ever made me really cry . . . and I've watched quite a few sad films. I also know I will need to watch it a few more times before I feel qualified or capable of writing about it. 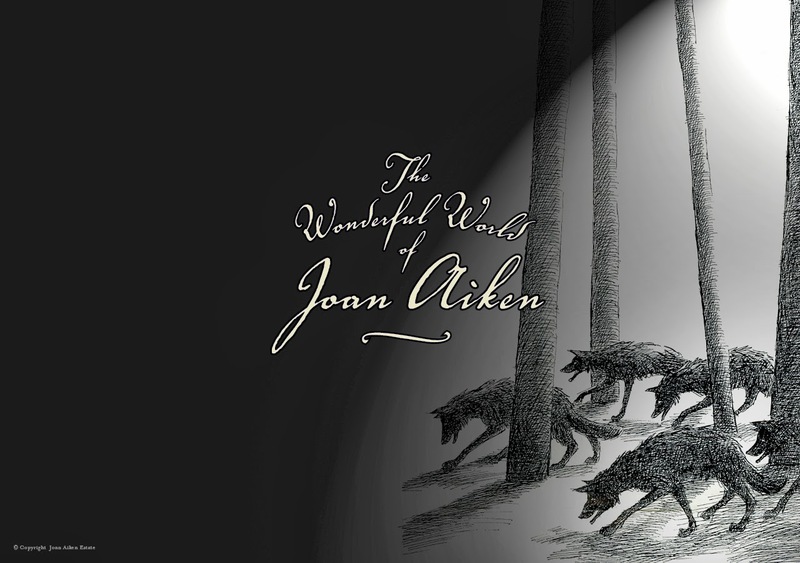 That's what a relevant classic does to me--twists my heart and chops my ego up into little pieces . . . the combined effect being that I hardly dare SPEAK about it, much less write about it. Which is why I'm writing about a different classic today. A classic that didn't so much awe as irritate. And yes (don't hate me for this) it was Pakeezah (1972). "This movie will capture you with it's visual and lyrical beauty, even if it is potentially problematic in the story it chooses to tell." And if that had been the case, I think I would have been fine. 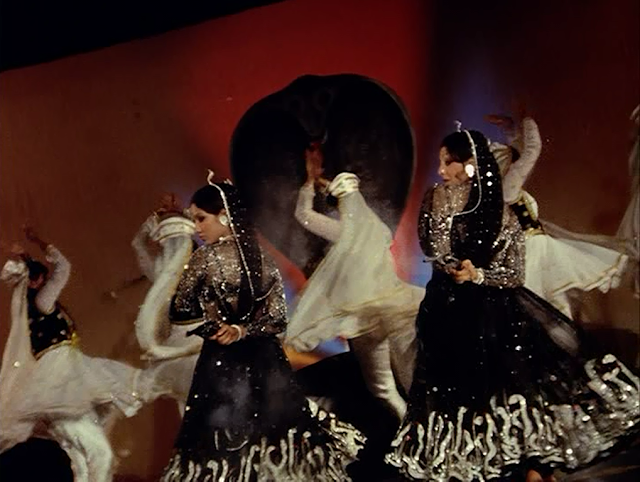 But the dances and the songs did nothing for me (and courtesan dances usually do--especially when I am watching a Rekha or a Madhuri role). The visuals of the film might have been beautiful, if they hadn't been presented as a series of endless (and often wasted) panoramic views: views that were often about as mentally stimulating as a walk through a garden. A serene, but deathly quiet garden. While watching, I too began to feel as if I was slowly wasting away, slowly losing my ability to move or speak or breathe. I did love the jungle visuals. If the whole film had taken place HERE, I would have been far more interested. To be fair, this overarching feeling of suffocation was potentially an intentional thematic/artistic choice, rather than just a David Lean-esque fetish for the wideshot. 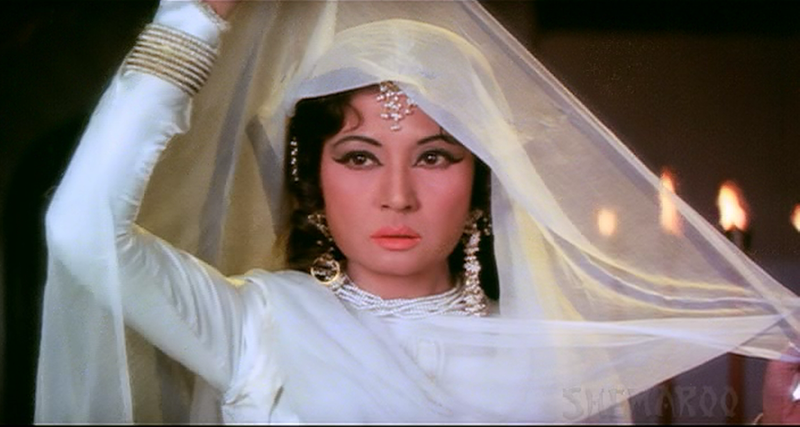 In a scene in which Pakeezah returns to the brothel after leaving her lover at the altar, she proclaims that a tawa'if is really just a "restless corpse." (This scene was clearly one of the original scenes shot in Meena Kumari's earlier leading lady days . . . and is a stark reminder of what Kumari had lost by the end of her career.) The life that finally (and ironically) enters her voice and body in this point in the chronology of the film sharply contrasts with both her despairing personal revelation in the scene, and her relative immobility and consumptive presence in the rest of the film. Pakeezah is literally born in a graveyard . . . and its atmosphere of hopelessness follows her thereon. 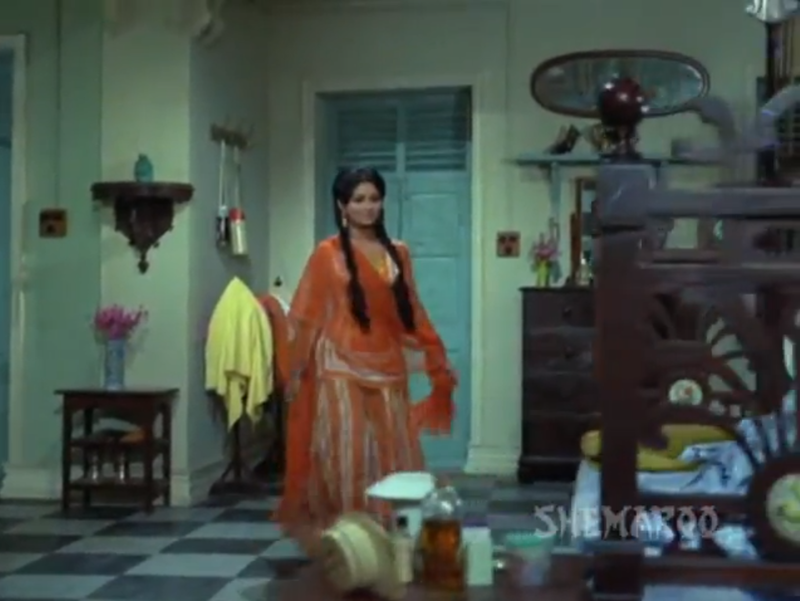 A conspicuously younger Meena Kumari: still able to play a woman with a voice. 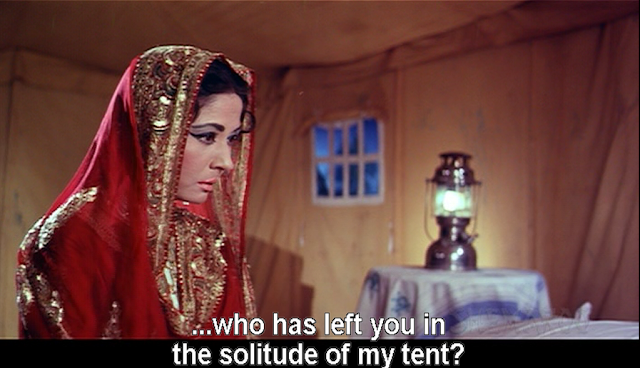 Even Raaj Kumar (who I have a strange fascination with due to his striking resemblance to my late grandfather) couldn't save this one for me. 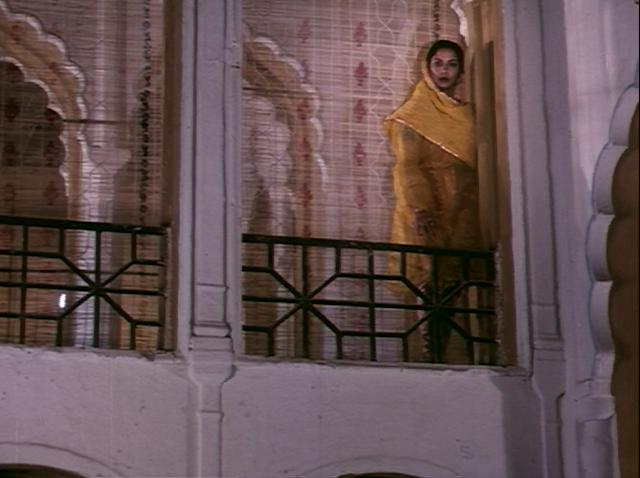 It certainly didn't help that he and Pakeezah are very rarely ever shown in the same shot as one another. I think I counted their shared looks (that you could see simultaneously) on one hand. I don't think this counts as a shared look, but I did like this moment a lot. His scenes were virtually the only point where the movie released its choke-hold on soon-to-expire Beauty (capital B), and moved forward with purpose and vitality. Perhaps this too was an intended artistic choice--aiming to further sketch the difference between the helpless and selfless (in the sense that she has almost no self or personality) Pakeezah, and the virile and idealistic forest ranger that she loves. I wanted to like this film. But it depressed me. And it angered me. Far more than Umrao Jaan, which I also didn't particularly love (and which I will admit took me several months to finish). So what's a bolly-addict's cure for a movie that makes you feel you are dying along with the actress playing the heroine? Book-end it with two halves of a very, very, funny film. 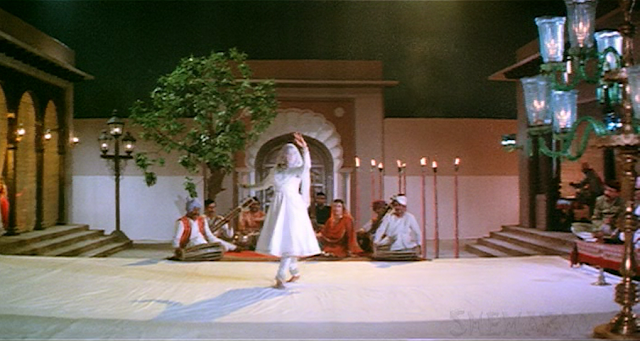 Chhailla Babu (1977), starring Rajesh Kanna and Zeenat Aman, is not widely considered a classic (like Pakeezah). But gosh, it is a lot easier on the dil, and won't cause any panic attacks or stir up a latent existential crisis. Though it's ostensibly an over-the-top caper or comedy/thriller, the main thing you'll probably walk away with is the grand bazaar of 70's weird and wild . . . a place where you you can count on every melodramatic line to be recited in total deadpan seriousness . . . most of the the "reveals" to be false . . . the vamps to be prone to falling in love . . . and all the outfits to be headed for the rack of a bargain-bin near you. 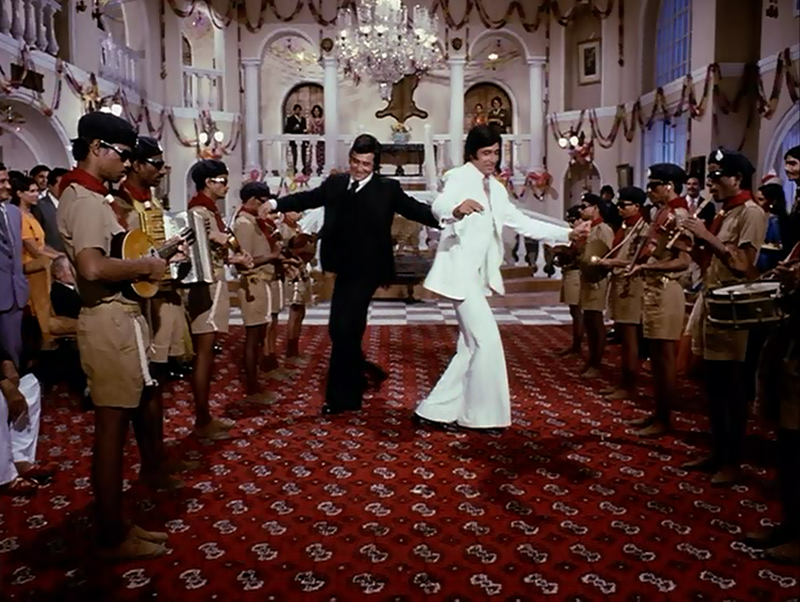 Also, if you go for that sort of thing, you could just watch it for the Rajesh and Zeenat chemistry alone. Oh the Rajesh-chest hair. 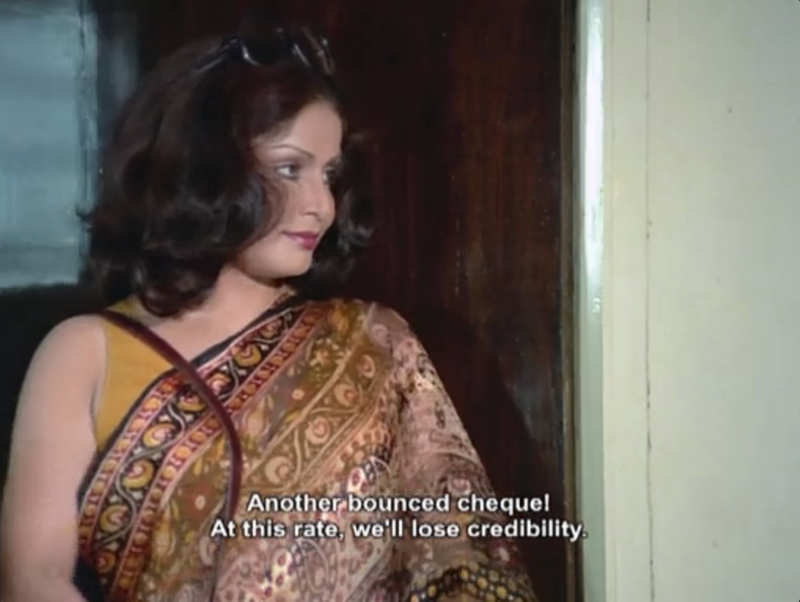 Oh the Zeenat pout. 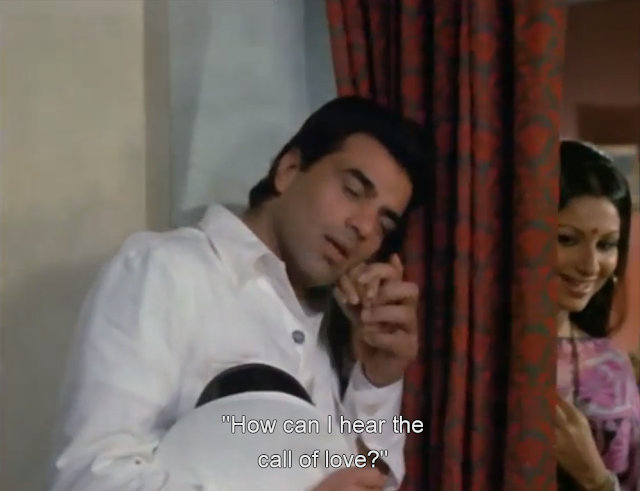 Gotta love a filmi-magic "kiss." Especially when it is also on a bed. Ooh . . . scandalous. 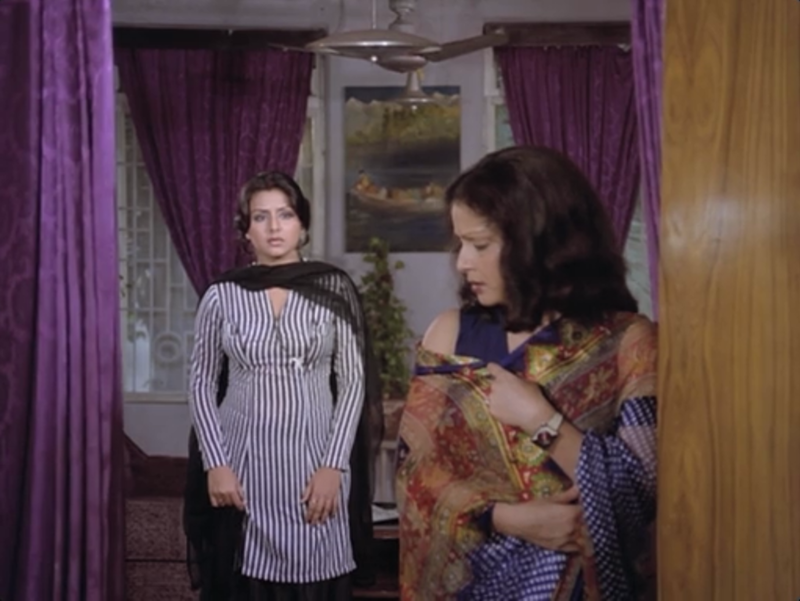 Zeenat turned out to be a lot smarter and fiercer in this role than I expected her to be at the beginning. Yay! 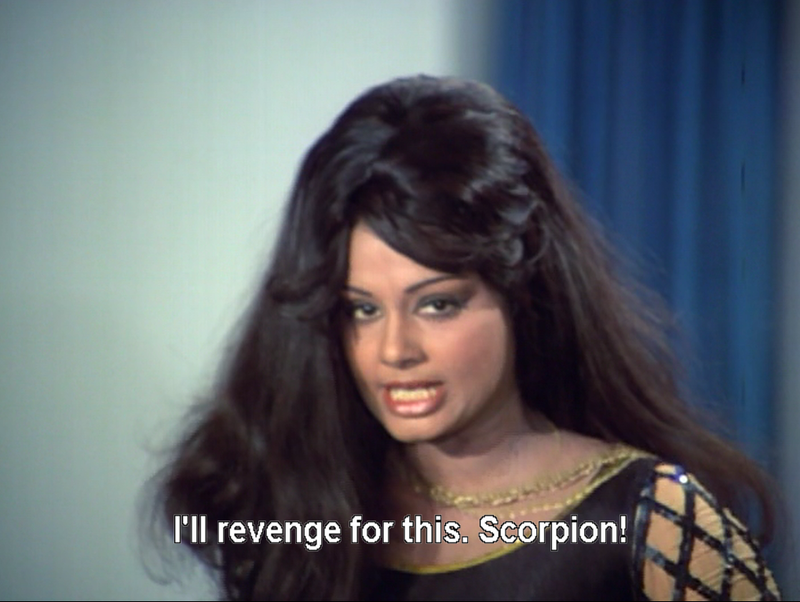 I love me some smart Zeenat. 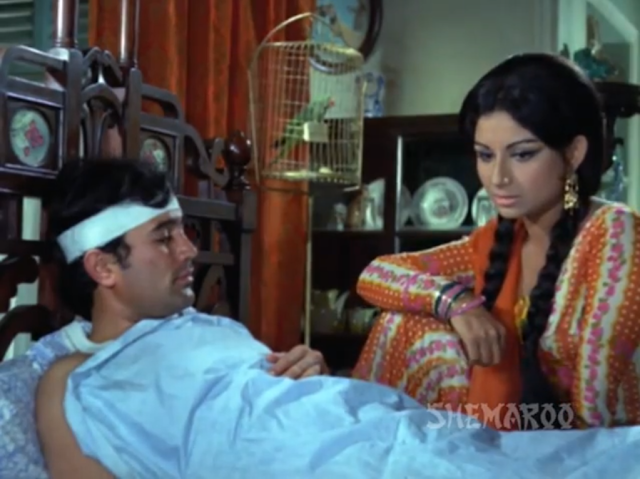 My theory (mostly unsupported by fact) is that both Zeenat and Rajesh made a suicide pact to drop all their inhibitions for this one--rejecting all fear of an audience's scorn-and the result is a fanatical shared commitment to the madness of the tale. 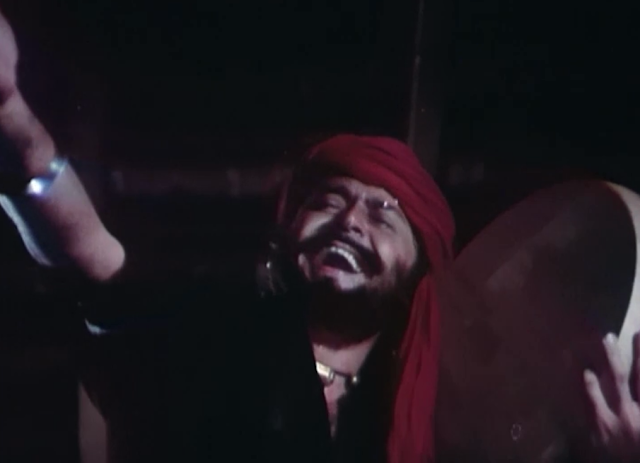 Look for lots of "that guy" appearances (from the likes of Mac Mohan, Asrani, and ALOT of others), lots of stolen orchestral score from "The Good, the Bad, and the Ugly" and various Russian symphonic works, Rajesh getting whipped AGAIN, a Missing Masala Maa, a ski resort in Kashmir, and Zeenat as Cleopatra! I KNEW it had to happen at some point. 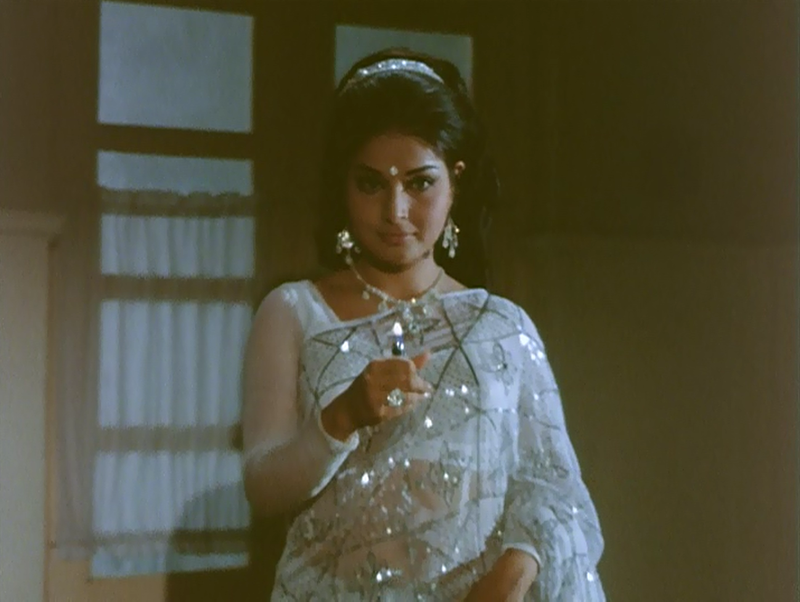 Funny connection between the two movies: Padma Khanna was the veiled dancer who doubled for the very ill Meena Kumari in Pakeezah's dance scenes. 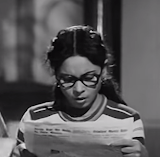 But she can also been seen as the fabulous vamp in Chhailla Babu. All I can say is, thank the filmi gods for ridiculous romps like Chhailla Babu, or else I would be wandering around, clenching my teeth and swearing under my breath for days . . . wishing I had the mental and emotional wherewithal to finish such important (but sooooooo very painful) cultural tomes as Pakeezah. Lastly, I leave you with the label that should be plastered onto the DVD of Pakeezah. Don't let yourself fall into courtesan-drama shock. You might wake up and forget how to walk without your ghunghroos. Or how to breathe outside your kotha. 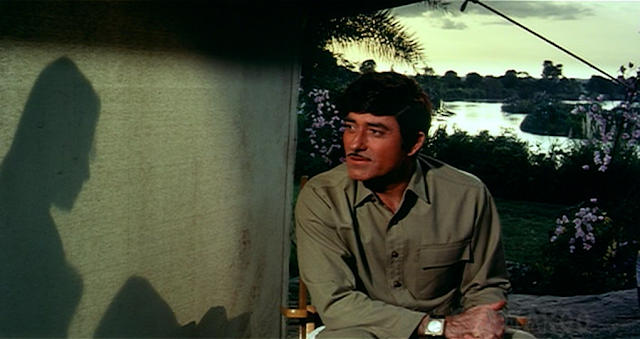 Or even worse, you might fall in love with Raaj Kumar but REFUSE to ever look at him! 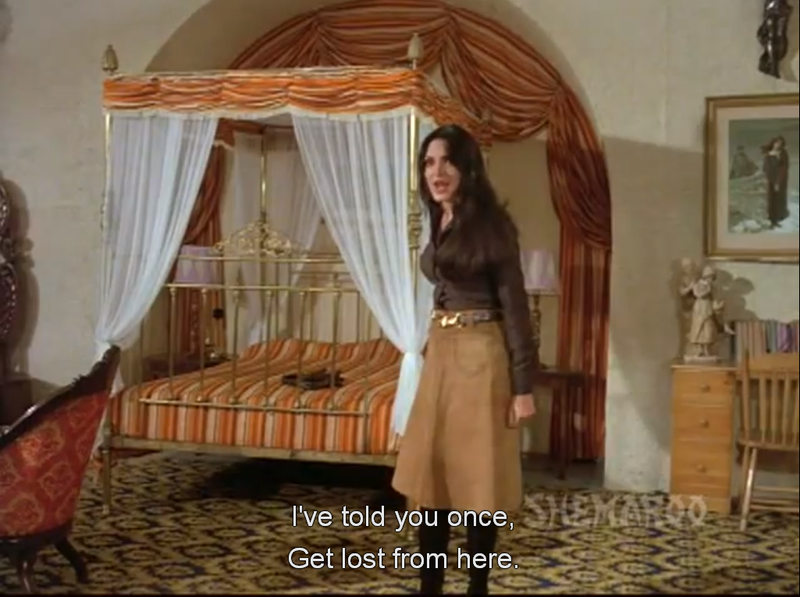 And if you have to watch a courtesan slowly-ever-so-slowly and panoramically slouch toward Bethlehem, I recommend that you take precautions and immediately replenish the grrrl power electrolytes with some Zeenat or Neetu or Hema.